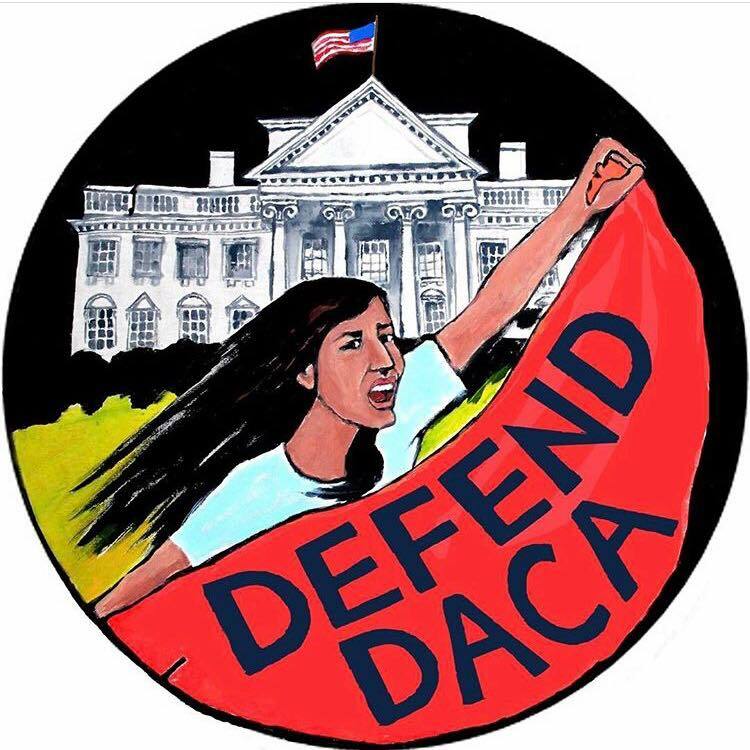 On Saturday, September 9th at 2PM in Oscar Grant Plaza, Oakland, we invite all undacamented folks, families and allies to join us in a rally and march to show love and support for #DACA. We must show those affected that we stand with them, and those making the decision that we’ve already made it for them. We are here to stay! Immigrants have been under attack within Amerikkka for decades, now–it’s nothing new. However, the Trump Administration has recently sent out and initiated threats on our undocumented siblings, and it’s time that we show them solidarity and fight back against the normalization of Trump’s cruelty and bigotry. We must show up as a community in solidarity with those who are targeted by the threats on DACA made by Trump; and we must resist the hateful, misinformed actions that this administration is taking to further marginalize and oppress our fellow citizens. Ending DACA will affect over 11 million children—we must be prepared and ready to mobilize the SECOND one of their lives is under attack. Please join us, this will be a peaceful demonstration centered around showing endless support and love for our community members who are under attack by this administration and ICE. – 12th St. BART is the station for this event!